The Arizona Game and Fish Department have investigated the death of thousands of fish and determined the die-off was caused by a golden alga bloom largely restricted to the riverine portion of Apache below Roosevelt Lake. 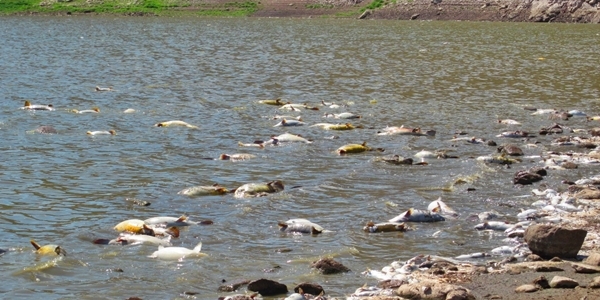 The last such fish die-off in this region occurred in 2007, also in upper Apache Lake. However, there were significant fish kills caused by golden alga in Saguaro, Canyon and Apache during the early-to-mid 2000s that affected all fish species.